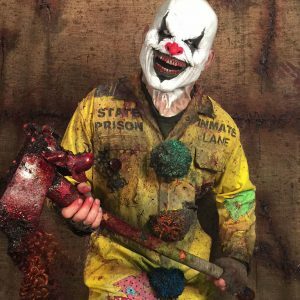 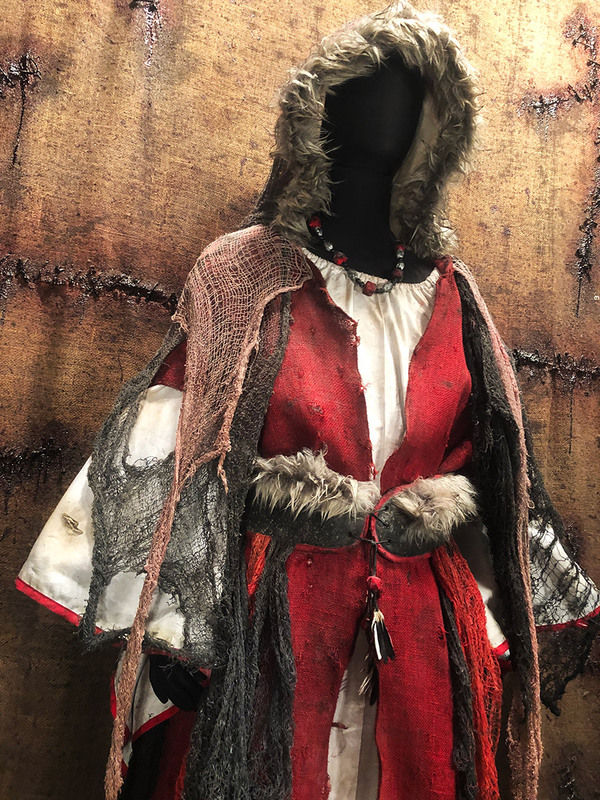 The queen behind the evil in the swamps… the Heretic! 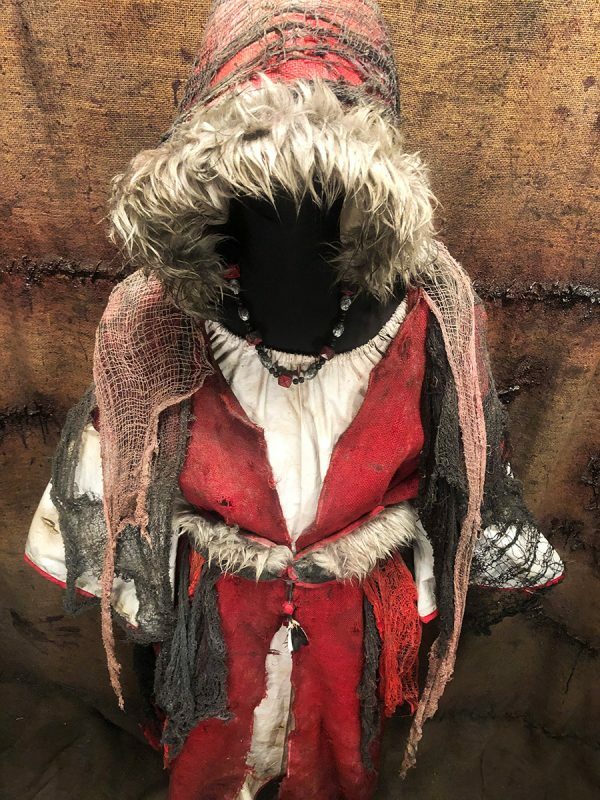 Who is the one who controls the swamps, the forests, the shadows? 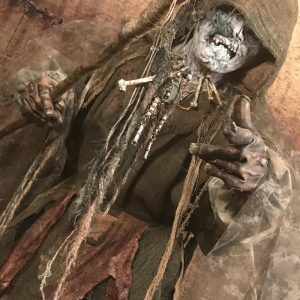 The new Heretic leads the Quagmire through the darkest reaches of the swamps and the woods summoning nature to carry out a devious plan! 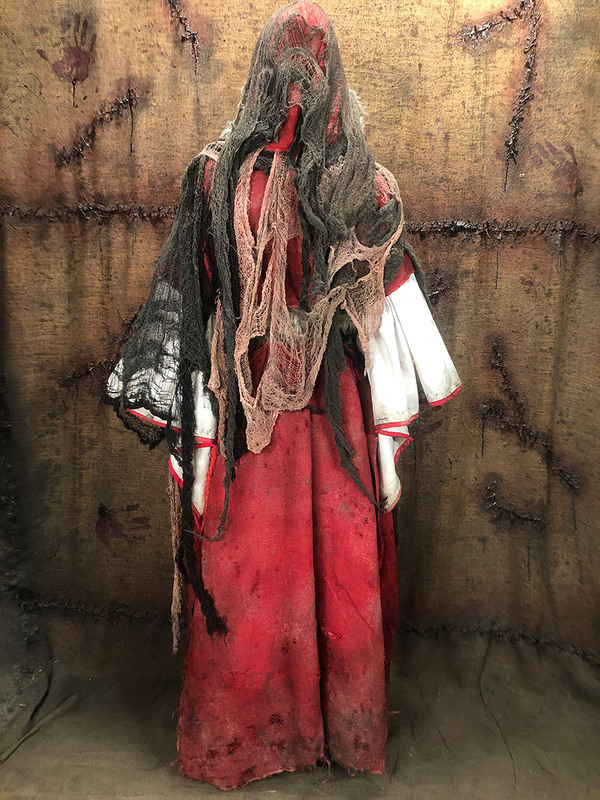 Also, known as the Red Witch in some cultures, the Heretic is sure to bring chaos! 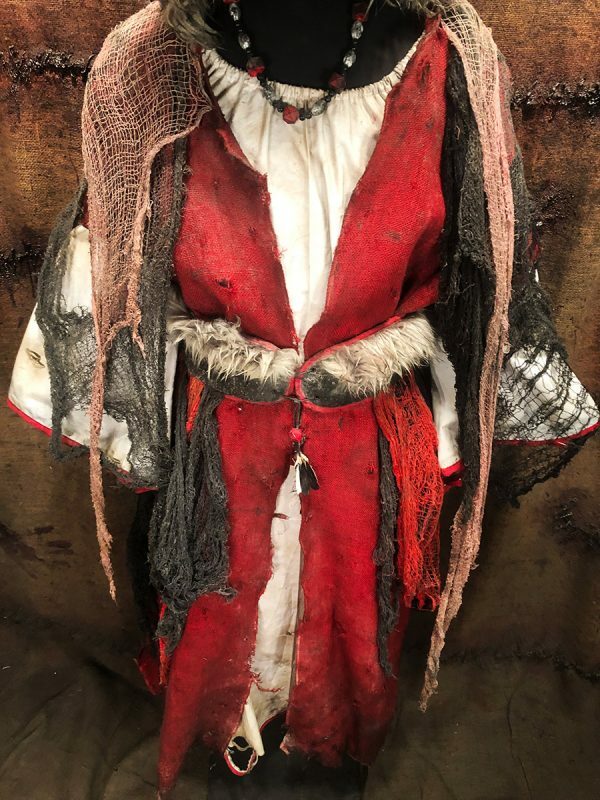 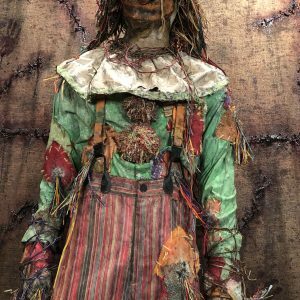 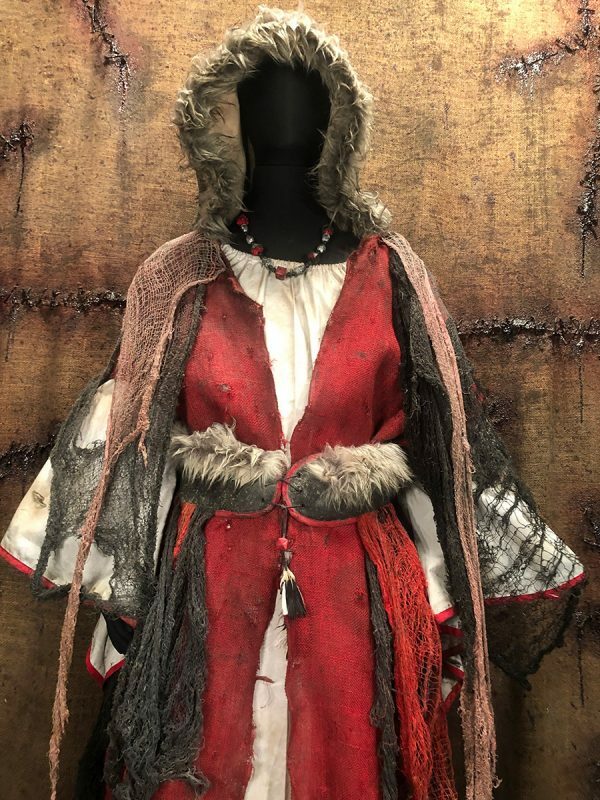 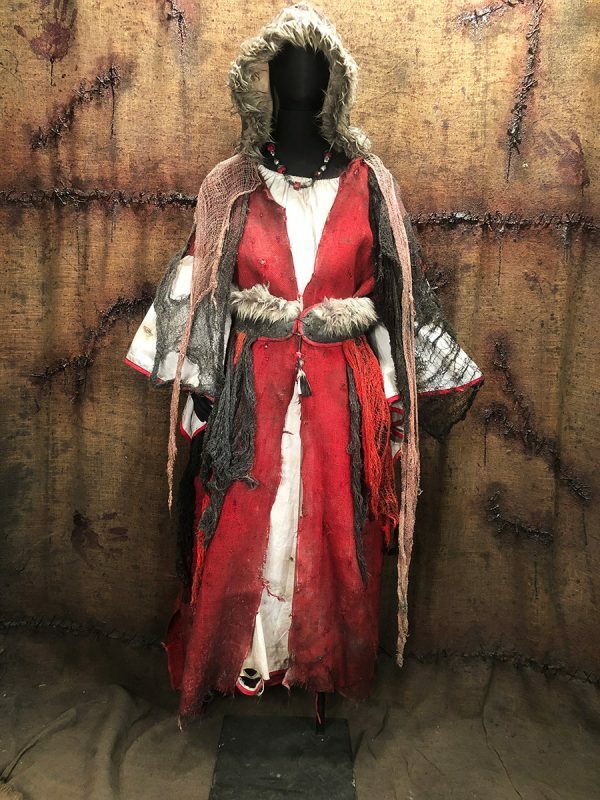 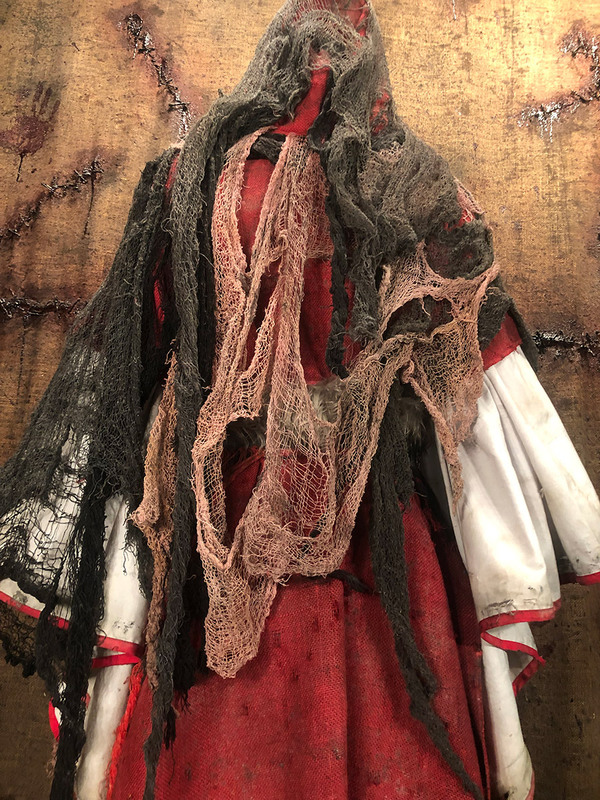 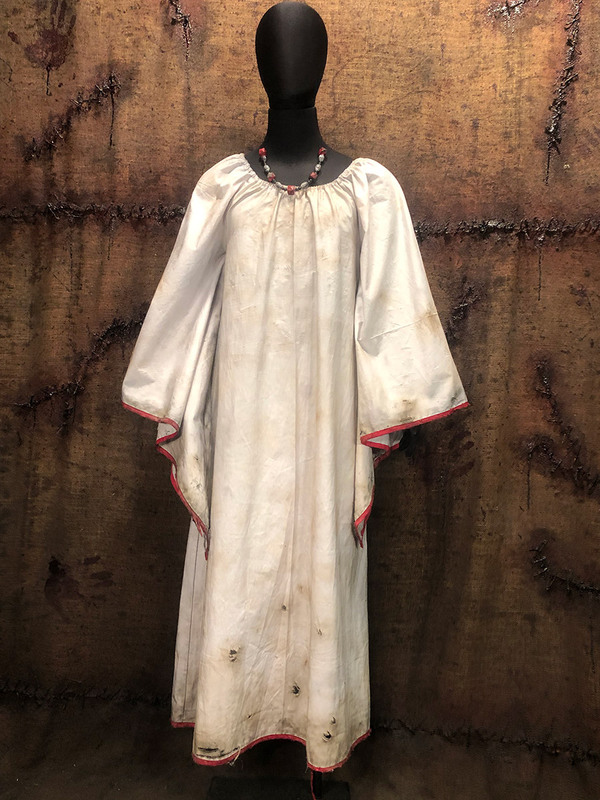 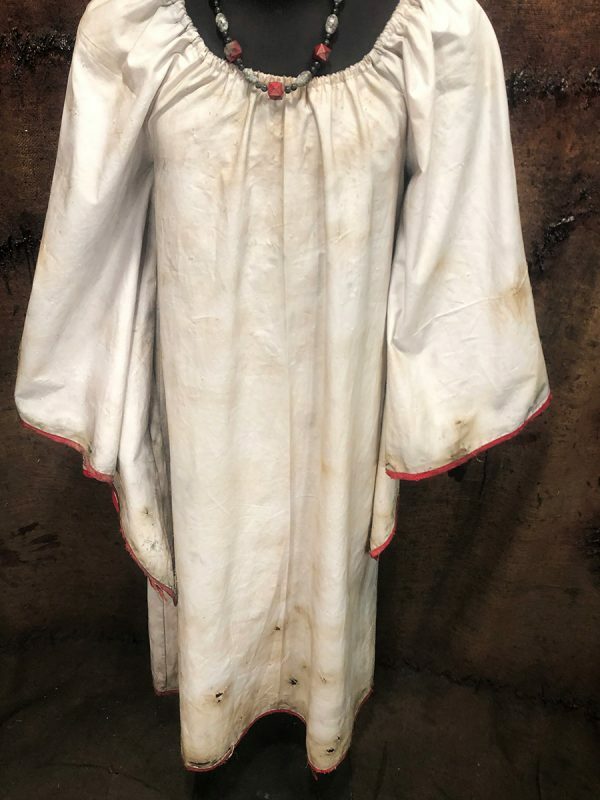 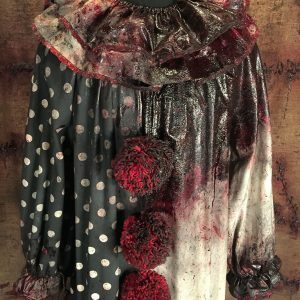 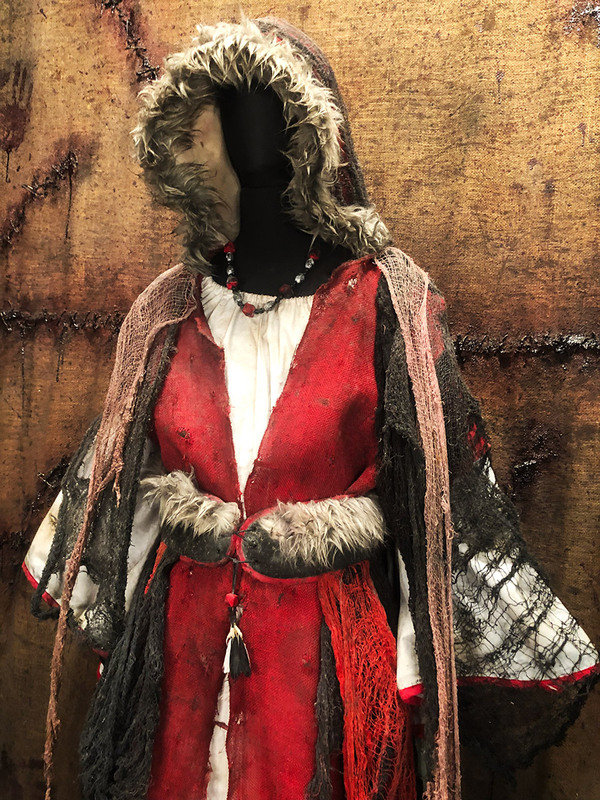 Our Heretic 4 part costume includes a long sleeve full length under garment gown, a red burlap floor length over throw hooded vest with fur, a wrap around distressed skirt, a shear overlay and accompanying stone necklace to complete the menacing look.